You can also do it! Buy the Rubik’s Cube. Rubik’s Cube is one of the most popular puzzles in the world because of its apparent simplicity, but also because of the great complexity it hides. It is a small cube of colors with a clear objective: “a single color in each face”. It is so simple that anyone can try. 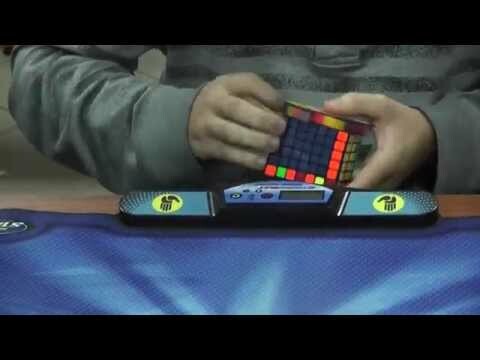 However, after a while with a Rubik’s cube in your hands, you realize that it is something much more complex. One of the ways that we can understand its complexity is by calculating the number of possible combinations of a Rubik’s cube. That is, the number of different ways you can place the pieces. Hope you like it and it has helped you to understand better the true magnitude of the number of combinations of a Rubik’s Cube. Change the orientation of an edge (2 possibilities) without altering the rest of the cube. Change the orientation of a corner (3 possibilities) without altering the rest of the cube. Swap the position of only two edges without also swapping two corners (and vice versa). With all these combinations… are you still arguing that you once solved the Rubik’s Cube by chance? Better take a look at our Rubik’s Cube solutions and solve it by yourself. You can also do it! 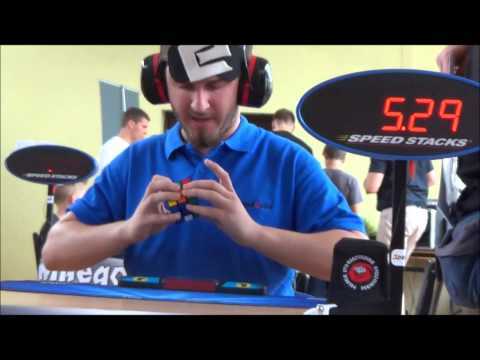 Buy the 5×5 Rubik’s Cube. Some days ago Google created a ‘doodle’ about the 40th anniversary of the Rubik’s Cube. It was a 3D Rubik’s Cube that you had to solve! If you were not able to solve the cube, you have now another opportunity. Good luck! Remember, if you are not able to solve the Rubik’s Cube by your own, you can take a look to the Rubik’s Cube solutions. 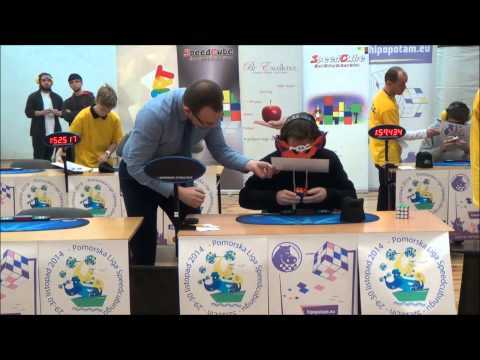 Lego Robot solves the Rubik’s Cube in 3 seconds! 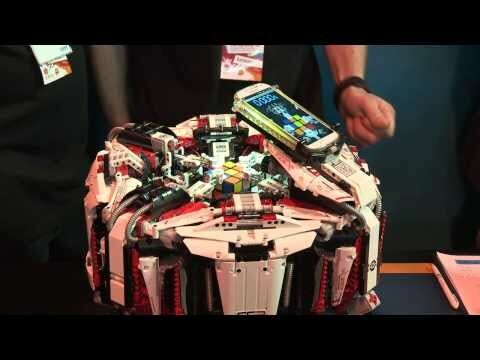 Using a mobile phone to see the pieces, this Lego robot is able to beat all Rubik’s Cube records. 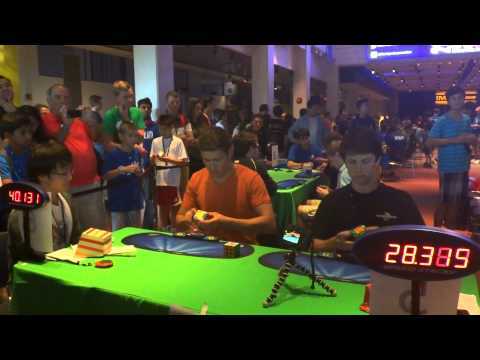 In fact, we can check in the video that it solves the Rubik’s Cube in just 3.25 seconds. Do you think that a human can beat that? One of the most famous questions related to Rubik’s Cube is: “How many movements are required to solve the Rubik’s Cube?” That is, what is the minimum number of moves I need to solve any Rubik’s cube position. It may seem that this is an easy problem to solve using today’s computers. However, a Rubik’s Cube can be in so many different positions, that this problem can not be solved testing positions one by one. Because of the headaches that caused this issue, the number of moves needed to solve any Rubik’s Cube was called “god number”. In 1981 it was discovered that this number was bounded between 18 and 52. The margin of error was decreased in 1995, reducing the uncertainty between 20 and 29 movements. Finally, in 2010, 29 years after the first estimation, it was found that the God number was exactly equal to 20. That is, any position of Rubik’s cube can be solved in 20 moves or less. To obtain this number were necessary Group Theory skills (remove symmetries and related positions), and the use of Google supercomputers. Can I solve the Rubik’s cube in 20 steps? Because this information is not always given accurately, many people wonder if there is an algorithm they can use to solve the Rubik’s cube in 20 moves. Nope. Keep in mind that even if you can solve the Rubik’s cube in 20 moves, these moves will be completely each time. 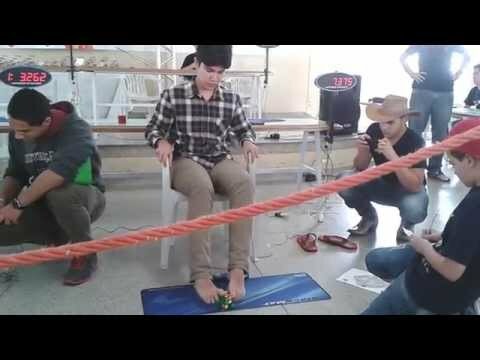 And because of the large number of possible positions, this knowledge can be useful to solve a Rubik’s cube with a computer, but not for a person.